HMH Books for Young Readers, 9780152047146, 192pp. Welcome to Rootabaga Country--where the railroad tracks go from straight to zigzag, where the pigs wear bibs, and where the Village of Cream Puffs floats in the wind. You'll meet baby balloon pickers, flummywisters, corn fairies, and blue foxes--and if you're not careful, you may never find your way back home! These beautiful new editions retain the original illustrations by Maud and Miska Petersham, and feature gorgeous new jackets by acclaimed illustrator Kurt Cyrus. 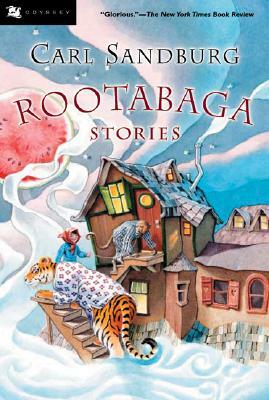 Carl Sandburg's irrepressible, zany, and completely original Rootabaga Stories and More Rootabaga Stories will stand alone on children's bookshelves--when they aren't in children's hands.